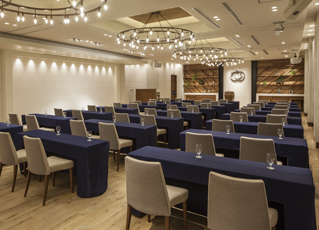 The half-century old Riviera Tokyo, originally opened in 1950 as the Japanese restaurant ryotei Hakuunkaku, will deliver parties or conferences to remember. 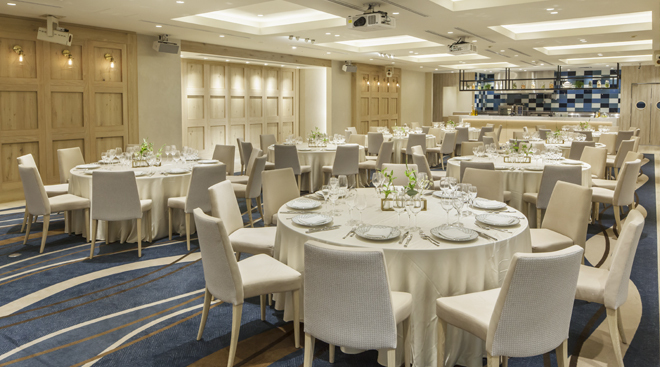 A beautiful hall with refined cuisine and hospitality. Come to this garden paradise in the city to experience the ultimate time. We have teamed up with trusted farmers to grow these vegetables. We carefully select each ingredient because we care about both the palate and safety of our guests. Custom areas and services for parties or seminars. Halls brimming with individuality and fully equipped with large monitors and streaming cameras. 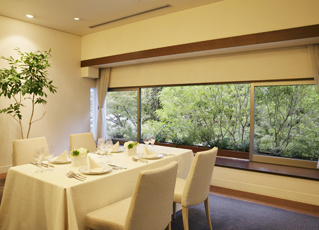 Riviera Tokyo will provide the best in hospitality to deliver memories that will last a lifetime. 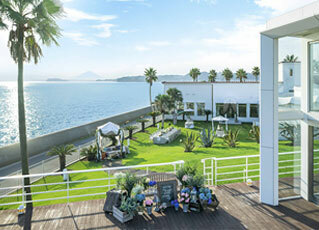 At this huge resort surrounded by the Shonan sea and palm trees swaying in the breeze, you can enjoy the kind of lavish party that you thought only existed on the silver screen. Clear blue skies, sunshine, and palm trees. The sky displays a drastic change in color as time shifts from noon to night. 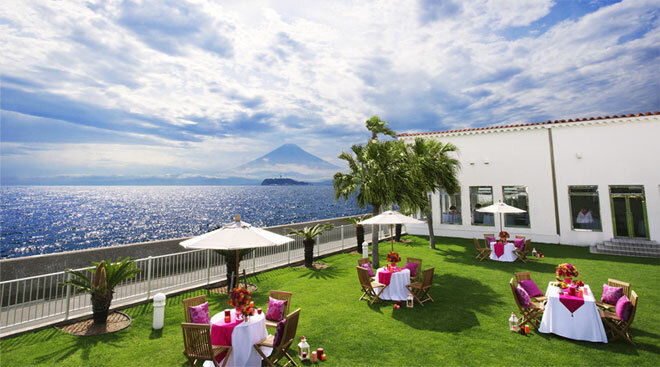 This seaside resort has delighted ocean-loving celebrities for years. The evolution of Japanese cuisine, "Seaside Cuisine"
Seaside Cuisine, pieced together using fresh seafood straight from the Shonan sea and fresh organic vegetables delivered by our partner farmers. 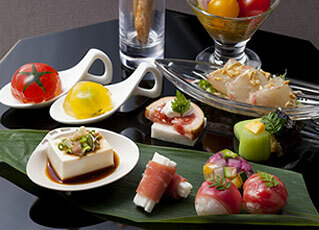 Enjoy a fabulous time with these dishes. We offer a variety of facilities, such as banquet halls with the pool, to help you make the most out of your party. 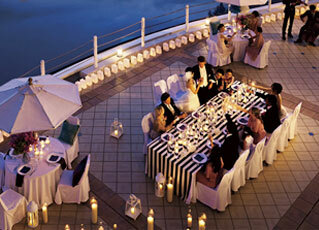 Enjoy all the glamour our resort has to offer for an event to remember. 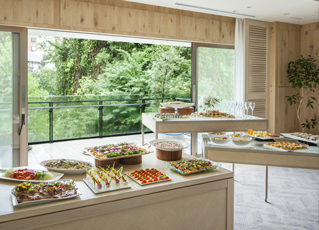 An ideal event space for a trendy, exclusive party in Aoyama / Omotesando. 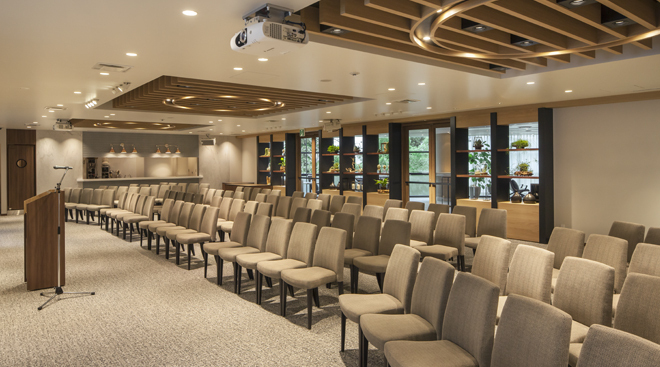 Surrounded by greenery, the venue is located just 3 mins walk from Gaien-mae Station or 9 mins walk from Omotesando Station. 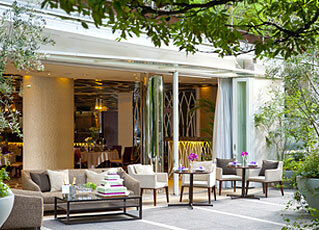 Riviera Aoyama, found in classy and fashionable Minami Aoyama, turns the head of each and every passerby with its luscious green entrance. Have a spectacular party at this luxurious establishment. 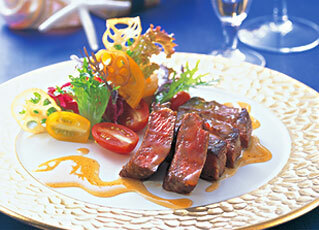 When we are preparing food, our top priority is the choice of ingredients. They are chosen from farms that we have visited ourselves to ensure both their quality and the devotion of the farmers that put their soul into growing them. Riviera Staff will guarantee high quality service in every aspect. 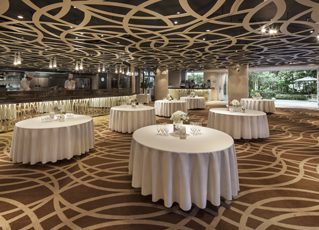 Full usage of our auxiliary facilities is available in order to deliver the party of your dreams.